Cape Town has much to offer travellers of all ages from the splendid views from the top of Table Mountain down to the beautiful beaches and lively bars and restaurants around the coast. 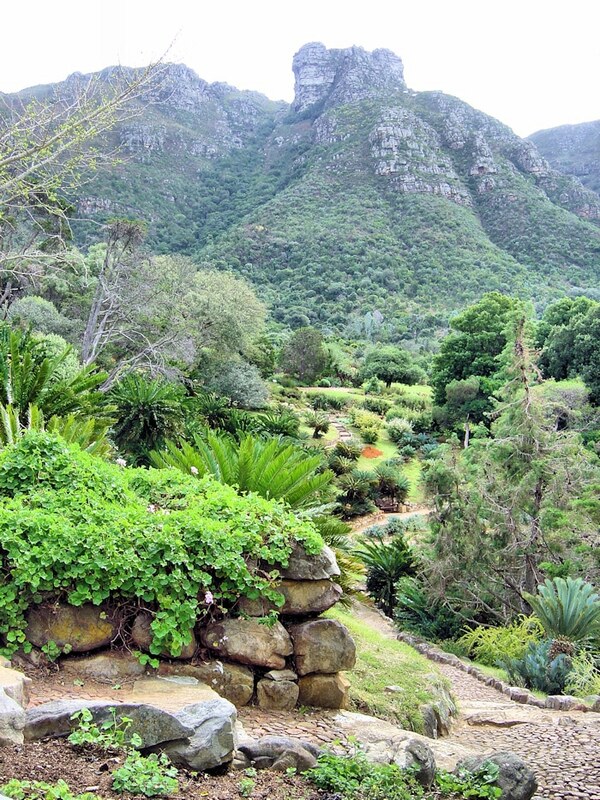 But don’t miss out on one of the jewels of Cape Town hidden away on the eastern slopes of Table Mountain, the Kirstenbosch National Botanical Gardens. I visited in September as springtime flowers were coming into bloom and producing a sea of colour. The 89 acres of cultivated gardens are part of a 1305 acre nature reserve stretching up the mountain slopes and offering extensive and sometimes strenuous walks with superb views back over the gardens and chances to see a wide range of birds. I found it fascinating to view so many plant species which I’d never seen before; not surprising since the vast majority of the 7,000 species in the Gardens are either members of the unique plant life of Cape Flora (one of the world’s six floristic regions in its own right) or are from other regions of Southern Africa. One exception is an avenue of camphor trees planted in honour of Queen Victoria. 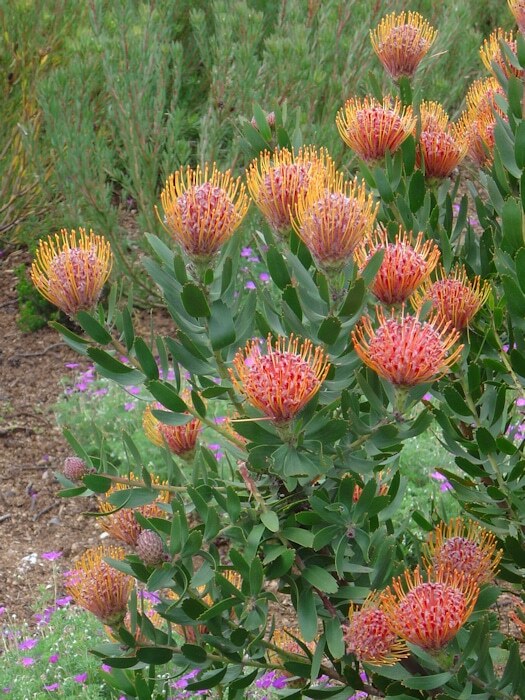 Nowhere else in the world can you see such a collection of proteas, fynbos (very typical of Cape Flora) and cycads, set out in well-cultivated beds with streams passing through flowing into a lake by the Visitors Centre. 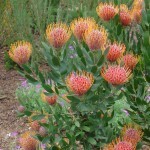 A conservatory contains some of the more sensitive plants. It is well worth spending a leisurely day in the Gardens and lunching in the restaurant, but don’t have a chicken-burger there if you are watching your calorie intake – they are enormous and very tasty! One treat I missed was a musical concert – these are held on Sunday afternoons in summertime (November to April) – I’ve noted it down for my next visit. 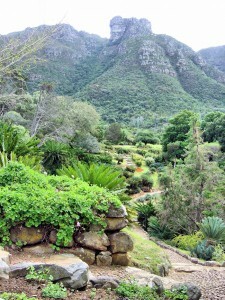 Kirstenbosch is the largest of nine National Botanical Gardens throughout the country administered by the South African National Biodiversity Institute and was the first botanic garden in the world to be included within a natural UNESCO World Heritage Site. The gardens are open 365 days a year. 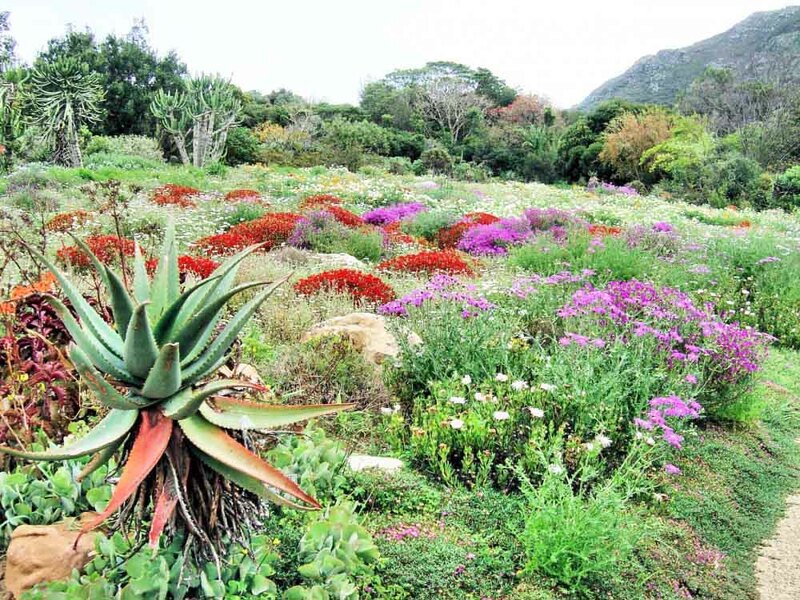 Sorry, there are no Senior discounts for entry, but the adult fee of 40 Rand (about £3) is very reasonable for what I found to be an unforgettable mixture of plant displays and magnificent scenery. Definitely one of my Top Ten Gardens.